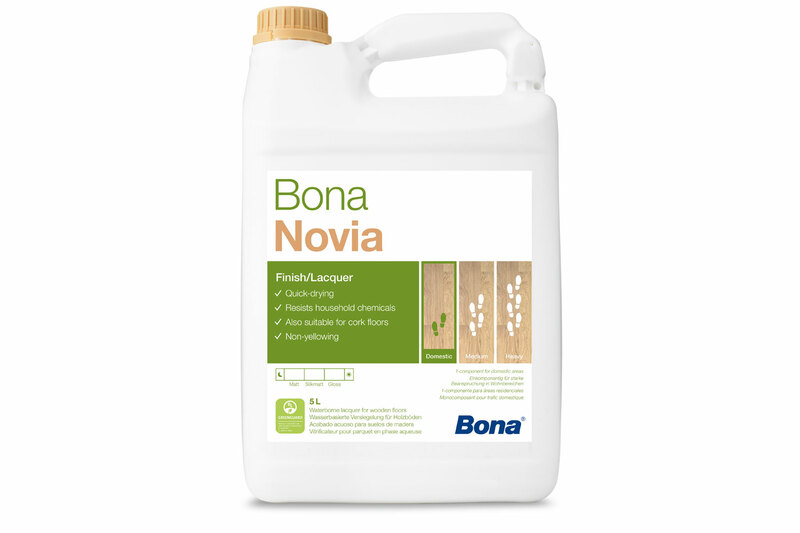 Bona Novia Varnish is a 1 part polyurethane/acrylate topcoat. Used for domestic areas and carries the European Ecolabel for its low use of solvents and other dangerous substances. Good resistance to wear, chemicals and scuff marks. Prior to application the surface must be pre-treated with a waterborne primer from Bona. Ensure floor is acclimatized to its end-use environment, well sanded, dry and free from sanding dust, oil, wax and other contamination. Allow varnish to reach room temperature, insert filter and shake the container thoroughly before use. 1. Apply the varnish using a Bona Roller. Roll with a smooth flowing motion alternately across and with the grain of the wood avoiding accumulations of product. Always maintain a “wet edge” to avoid overlaps. Allow to dry before applying further layers of finish. Anticipate slightly longer drying time for each layer that is applied. 2. If necessary make an intermediate sanding using a screen or the Bona Scrad System grit P150 (or finer) and remove dust before applying the final layer of lacquer. Note: If the previous layer of finish has been allowed more than 24 hours drying time then an intermediate sanding is always required. 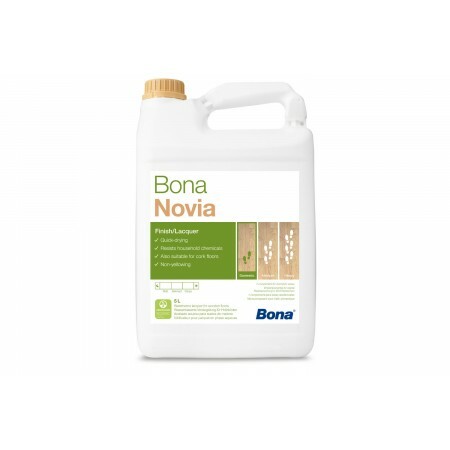 Clean the floor with Bona Cleaner or Bona Wood Floor Cleaner and a microfibre pad. (These can be purchased together with a Bona spray mop). For maintenance and upkeep of the surface, floors can be overcoated at intervals with additional coats of varnish. The frequency of this operation can be greatly reduced if Bona Freshen Up or Bona Wood Floor Refresher is applied periodically. This will restore the appearance of a dull floor whilst still allowing further coats of varnish to be applied without the need for sanding the floor back to bare timber.